It is with heavy hearts that we announce the passing of our beloved husband, father, grandfather, and brother, Art Gulowaty. Art passed away peacefully on October 15, 2018 at the age of 69. Left to mourn his loss and cherish many special memories is his wife Jean; sons, Andrew (Carin) , Adrian (Carmen) and Steven (Brittany); grandchildren, Roman, Carly and Kensie; brothers, Dave (Yolande) and Ken; brother-in-law John; and numerous nieces and nephews. He was predeceased by his parents, Peter and Anne. Art was born in Chatfield, Manitoba and moved to Winnipeg in 1967. He worked many years as an employee for Gulf Oil and later Petro Canada. Art will be remembered as an independent, generous, hard working man, who adored his family and was always ready to lend a helping hand. Amongst all the sports he enjoyed, Art loved curling. 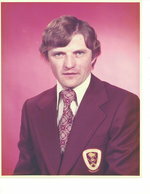 He was a lifelong member of the Victoria Curling Club, serving as an executive member, president and past president. He enjoyed camping, water skiing, cooking and always had a building or a fixing project on his list. There was not anything that his magic fingers could not fix or create with his table saw. Gardening was also one of his passions and he looked forward to his spring planting each year. The family wishes to extend our sincere thanks to the nurses, doctors, and other staff at Seven Oaks Hospital for the care and compassion which Art received and for their empathetic communication with family members. We would also like to extend our deepest thanks to his brother Dave for his endless support and care during our difficult time. Art was one of the kindest people and it has been a blessing and a privilege to have shared our 38 years of marriage. To celebrate his life, a Funeral Liturgy will be held at St. Joseph’s Ukrainian Catholic Church, 250 Jefferson Avenue, on Saturday, October 20, 2018 at 10:00 a.m., with Father Dmytro Dnistrian, CSsR officiating. Interment at All Saints Cemetery. A reception will follow at Friends Funeral Service, 2146 Main Street. In lieu of flowers, if friends so desire, donations in memory of Art may be made to St. Joseph’s Ukrainian Catholic Church Catechism Program because he loved children.